Today marks five years since the city of Preston was awarded Fairtrade status. To celebrate an event has been organised on the flag market, including music, guest speakers and dignatries. It’s taking place from 10 AM – 4 PM. Brave the weather, head down and enjoy some quality entertainment and celebrate that Preston is helping those worse off than ourselves. 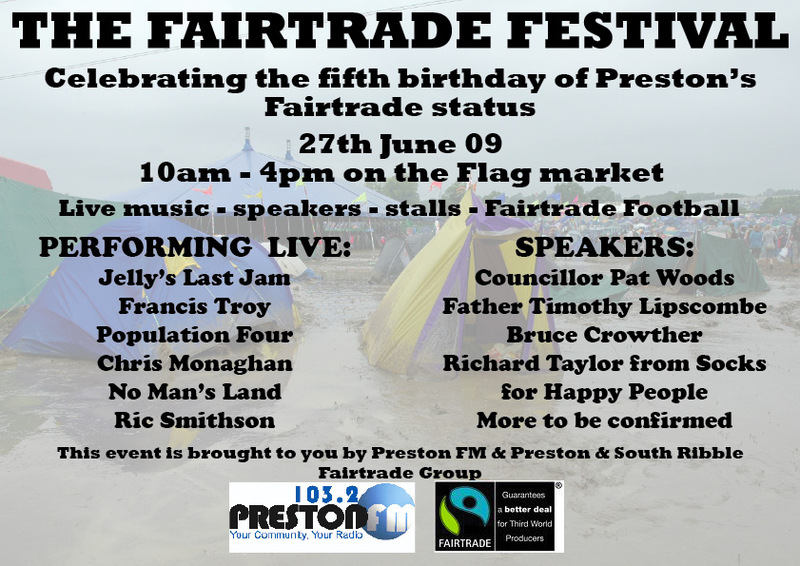 Preston FM will be there, who are co-organising the event, along with Preston & South Ribble Fairtrade Group.